Wixel Wireless USB Module from Pololu is a great little general purpose wireless device that allows you to send data to/from remote nodes. It is well documented and easy to use. See the Wixel Arduino Shield if you want to use this with your Arduino. We think that the Wixel wireless module is the easiest and least expensive method for wireless communication. Pumping out 2.4Ghz, it has a 50 foot range (average), and is well documented. Use these modules to communicate between your PC and remote nodes, or from an Arduino (or other microcontroller board) to other boards. 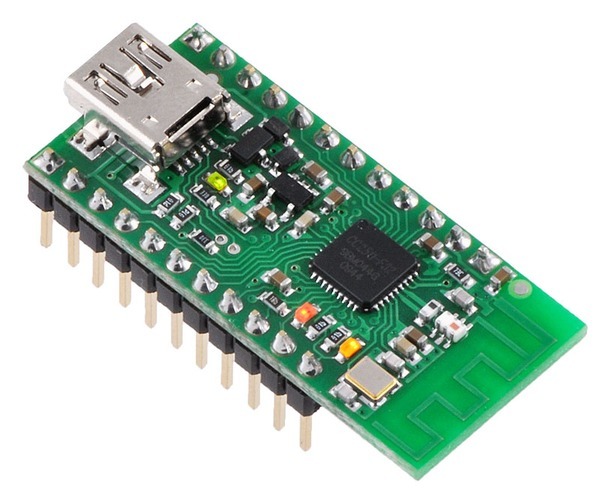 If you wan to use this device with your Arduino, check out the Wixel wireless shield for Arduino.